Ruslan Kukharchuk – a journalist, media manager, social leader, and preacher. 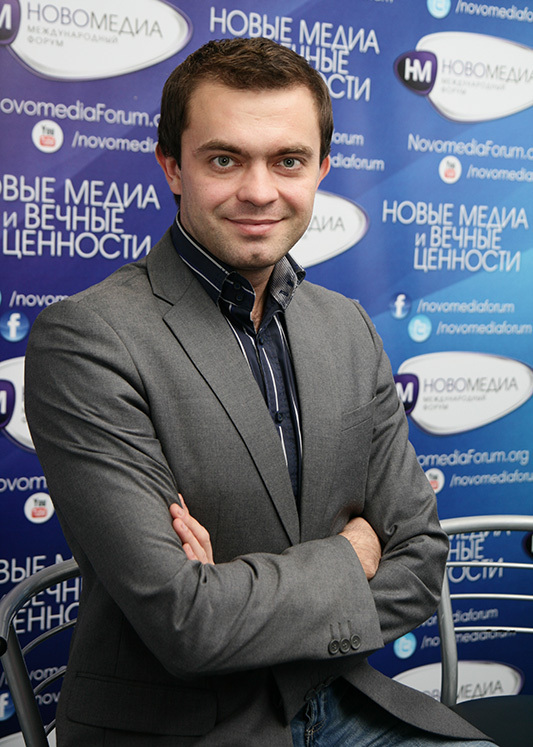 Involved in journalism since 2000 – journalist and column editor of a local newspaper Chornomorets (Skadovsk, Kherson region). Since April 2003 – managing editor of All-Ukrainian Christian newspaper KAMEN' Kraeugolniy (The Cornerstone). In 2004 takes the lead in establishing the Association of Journalists, Publishers, and Broadcasters Novomedia and becomes its president. Since 2011 serves as a steering committee chair of the International Novomedia Forum. In September 2003 holds a public action against LGBT procession in Kyiv and succeeded. Since then a far-reaching movement with the above said name has grown and developed in Ukraine as well as abroad. In the summer of 2010 passed the leadership of both LAH movement and the above said steering committee. Assumed the leadership of the civic movement All Together. Over the years works for a number of Ukrainian TV channels, printed and electronic media as a reporter, parliamentary correspondent, anchor, copy editor, managing editor (TV channels НТН (NTN), CBN-CIS, ТВi (TVi), CITI (CITY); newspapers Stolichnie Novosti (Metropolitan News), Delovaya Nedelya (Business Week); news website www.mignews.com.ua, etc.). Owns several web resources: information portal Vse Novosti (All News), website NHM – Novosti Khristianskogo Mira (CWN – Christian World News), music blog journal mBlog. Public speaker and trainer. Teaches journalism, teleproduction, media management, mass communications, and PR in Ukraine and abroad. Possesses degrees in Journalism, Directing, and Theology. Author of the book Desyatka (Bullseye). Born in Ordzhonikidze (Dnepropetrovsk region), raised in Skadovsk (Kherson region), resides in Kyiv.